Every once in a while we have the sense that environmentalism is going viral. A new eye-catching catastrophe grabs the public consciousness. Unexpected online friends share an emotional video from a seemingly well-meaning company. For a second you believe that this might be the turning point. Then, the interest wanes and disaster becomes the everyday once again. 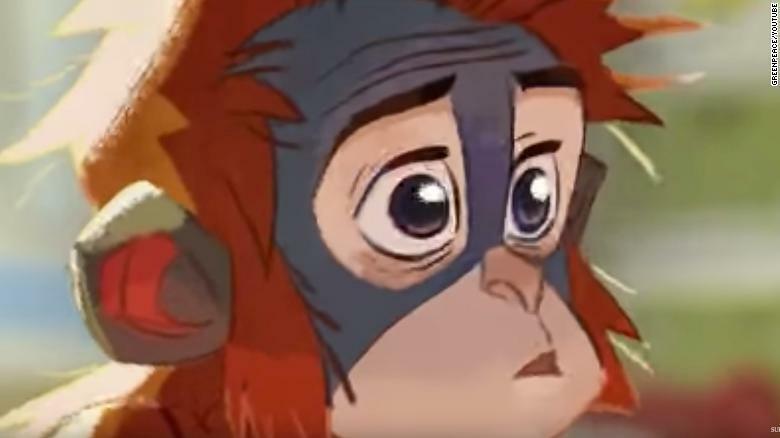 This time it is the turn of supermarket middleweight, Iceland, to wade into the spotlight with their banned Christmas advert highlighting the destruction wrecked by palm oil farming. The short film, originally created by Greenpeace, which tells the story of a baby orangutan driven out of its rainforest home by deforestation, was deemed to be in breach of political advertising rules. Politicians and commentators were quick to leap into outraged defense of the supermarket who are also the first in the UK to drop the controversial ingredient from all their own-brand products. A petition for the advert to be released has already reached nearly half a million signatures. Cute - but is it effective? Of course the environmental impact of palm oil farming can never understated. However, cynical minds cannot help to question how much the decision is led by environmental concern and how much by the growing trend of a “green” lifestyle being sold to the public as the ultimate answer to the burning concerns that threaten the planet. Although the entry of environmentalism into the public consciousness is a phenomenon to be applauded it seems to be increasingly placed firmly on individual purchasing power. Rather than demanding change from the 100 companies who cause 71% of global emissions, the general public is told that they must change their own buying habits to save the planet. This mentality is shown in the current WWF advert where an explosion of plastic products flies at the viewer and a voiceover claims that we can “win the biggest battles in the smallest moments” by considering “the food we eat, the things we buy and the way we live”. While individual actions such as recycling and conscious purchasing will have some impact, they are always severely limited. Take recycling as a well known example. Although recycling rates in the UK have shown great improvements over the last couple of decades, raising from an abysmal 11.2% in 2000 to 43.7%, in recent years the improvement rates have plateaued showing no significant rise in the last 5 years and making it questionable if we will ever reach the national target of 50%. The emphasis on individual action has cemented the rise of green consumerism, the pitfalls of which have already been outlined, but this trend seems to have reached new heights whereby “green choices” are sold back to us, often in ways that lack environmental credentials. Reusable plastic bottles and tote bags have become the go-to giveaway products, creating cupboards full of supposedly eco-alternatives which actually consume far more energy in their production than their single-use counterparts and now seem to be produced and tossed in growing numbers. The larger companies that create these products have to drive new models and designs so that they can encourage consumers to keep coming back to them. As with any social movement, such as feminism or anti-globalisation, environmental slogans are printed onto t-shirts, bags or anything else ready to be flogged to the public. In short, environmentalism is being sold as a consumer aspiration which in the end only encourages us to buy more rather than cutting our waste production. Iceland have made significant steps to brand themselves as the environmental choice. Picking them over Tesco becomes like choosing Ecover instead of Persil. Green capitalists will argue that by consumers purchasing these brands over their less sustainable counterparts the necessary environmental shift will be set in motion, but in fact this growth in choice only serves to hold back the real change which needs to happen. Instead of moving towards local and independent shops and services we continue to rely on the national, or even global, giants whose size will always guarantee a level of environmental destruction. Minds can slowly be changed, perhaps Iceland’s first steps will lead to the global brands that they still stock on their shelves to also stop using palm oils, but any progress will be slow and each similar battle will have to be won on its own. The process will be nowhere near quick enough for the level of change we need to see, and in a financial system based firmly on growth it may never happen. And this is the fundamental issue. 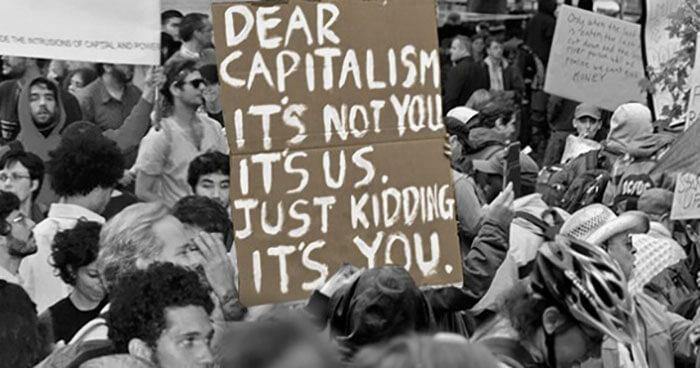 Capitalism is an unsustainable system. If we move away from palm oil use the environmental impact will simply be shifted. Rather than decimating Indonesian forests with oil palms, deforestation will move to other areas of the world that endangered species inhabit as we begin to rely on crops which demand more land than palm. The global demand, and producers methods to meet it, cannot be sustainably managed under the current system. We can rebrand capitalism in hundreds of “green” guises but it will always be led by individuals who value growth in profits over protection of natural resources. Initiatives such as Iceland’s palm oil advert are more likely to increase their profits rather than significantly reverse the precarious position the world finds itself in, and may even do more damage by sedimenting beliefs that dramatic and systematic changes are not needed. We must stop just reshuffling the deck and choose a new path to reverse our fate.